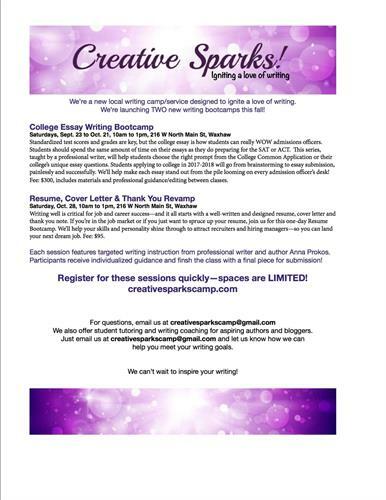 Local writing camp/service to ignite a love of writing and help college essay writing and resume writing. Creative Sparks is a new business in the Waxhaw Entrepreneurs Incubator at 216 W North Main. Watch for monthly classes. This series Starts on Saturday Sept. 23.